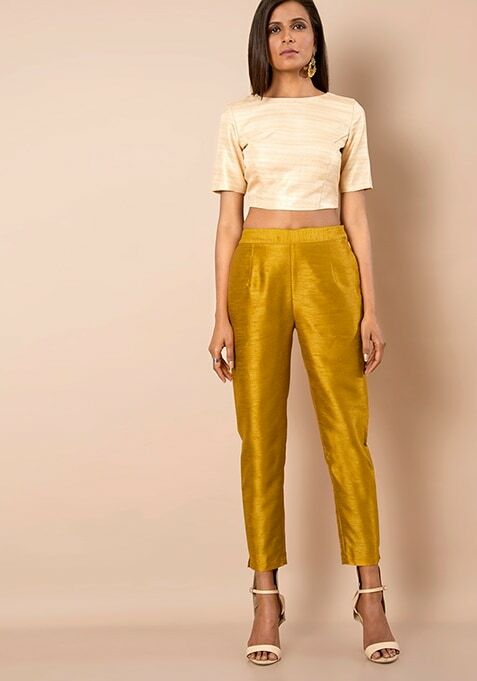 Make a glamorous statement in this pair of mustard silk cigarette pants. Features two seam pockets, side zip and hook closure. Work it - Looks glam with a silk tunic and high heels.